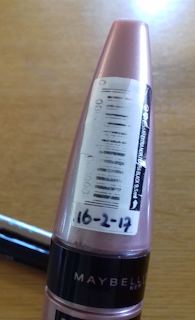 By now we should all know that make up expires. 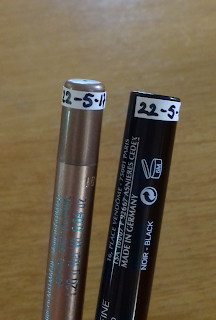 On the product somewhere is indicated how long a product can be used safely after opening. However, I always forget when I opened something and at a certain time I wanted to keep a log on how long I use a product before it ran out. So I started to keep track of when I openend a product in an Excel file. Turns out it doesn't really work for me, because I always forget to update the file. I now have another method of keeping track of when I started to use a product. Find out how! Excel didn't work out for me, so I started to keep track of it in my planner. 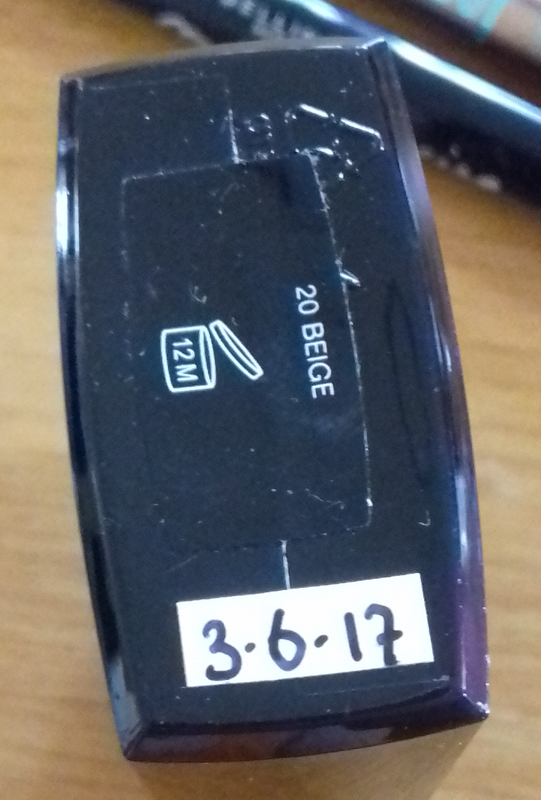 This worked great, but then I thought, why not just write on the product itself when I openend it? I have a permanent marker with a very fine tip, but I didn't want to write directly on my make up. 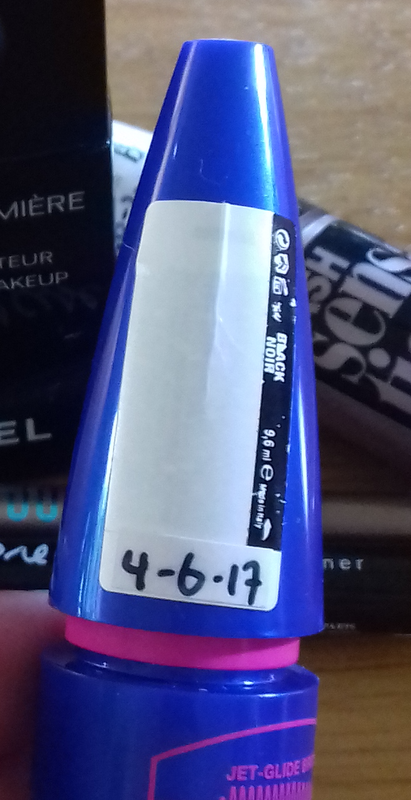 So I got a rol of very small labels where I write the date on and cut them as small as possible and stick them to my make up, as you can see in the pictures below. This method works perfect for me, because I don't "damage" the product permanently: I can peel off the labels if i want to and it stays on just fine. Also, I can check the date at any time and don't have to look it up. As you can see, for example, the Maybelline Lash Sensational has been openend for more than five months now and I should totally toss it away according to the three month rule. 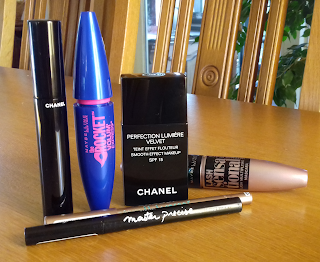 BUT I know that on mascara there's a so-called PAO symbol (Period-After-Opening). This is for example the PAO symbol on the foundation I'm currently using. 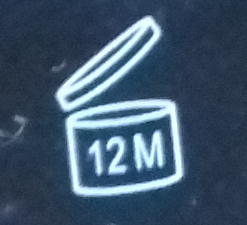 This means that after opening the product can be used for 12 months (so I can use it until June 6th 2018). 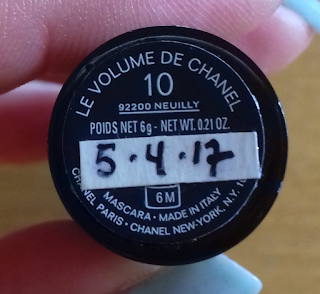 For mascara I find that they all can be used up to 6 months after opening according to the PAO symbols (look at Le Volume de Chanel). 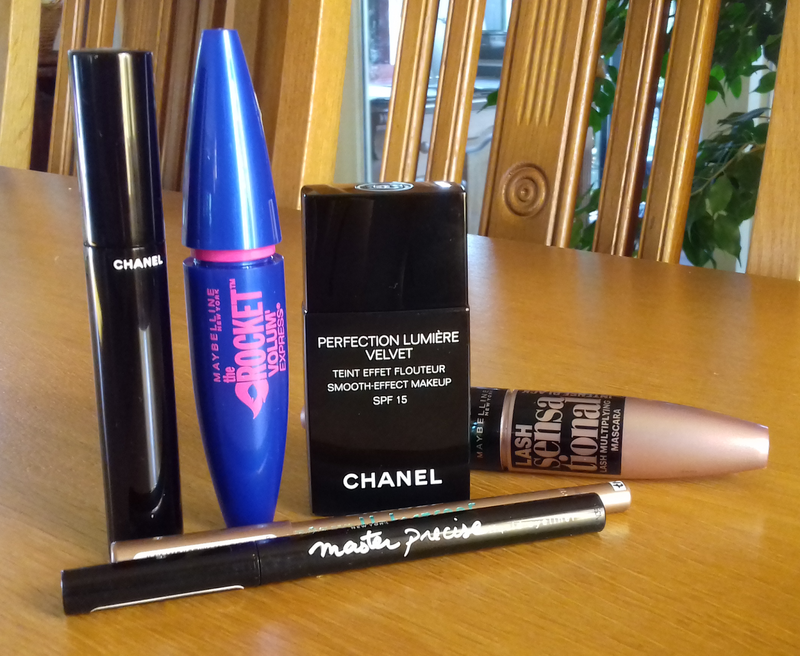 So I'm using mascaras for 3-6 months until I find that my eyes start to itch a little or until I've reached three months of usage and toss it out if I don't like the mascara. Anyway, I really like this method and I can easily see how long I can use a product or how long I already have been using it. And since I'm a person who loves to try out new stuff and has a stash of unopened mascaras I can see if it is reasonable to open up a new mascara and tossing out the old one. I hope this tip is a bit useful to you and I'll talk to you guys in the next post.